RMON Networks provides Outsourced Help Desk Services to business organizations located in the New England area (NH, MA, VT, ME, RI). We can provide your business with affordable round-the-clock help desk support solutions to ensure your business is operational 24/7. 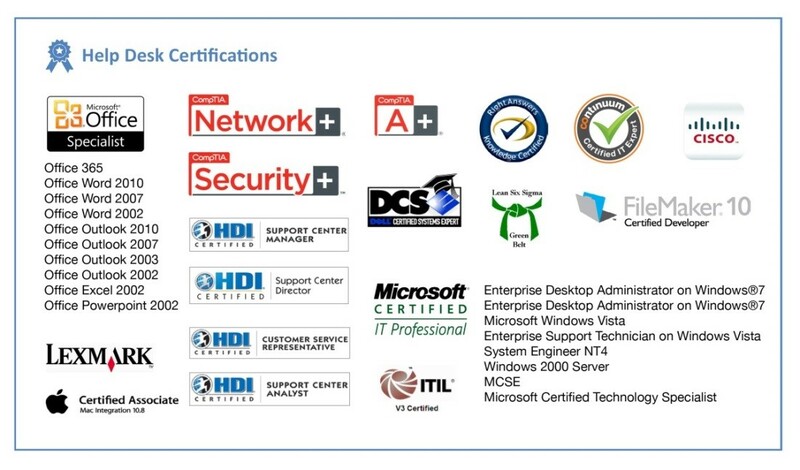 Our technicians are certified to support all network operating systems, desktop operating systems, Office applications, all versions of Outlook, Exchange Server and SQL Server, as well as server and desktop hardware, printers, networked copiers, scanners, smartphones, and PDA’s. How Do You Know When to Outsource Your Help Desk? For every organization the right time for outsourcing is different. Some businesses may have enough in-house staff to take care of most work. However, when the organization runs short on resources – that is the time when outsourcing can come to the rescue. By shifting the day to day issues to our help desk, your staff is freed up for more business strategic planning. Most IT professionals require a steep salary along with additional benefits. Staffing even one professional may not be possible for most businesses that have budget constraints. In such a scenario outsourcing seems to be the best possible solution. When outsourcing you don’t just get one professional, you get a large team of professionals with various expertise. In addition, organizations have outsourced jobs to eliminate the overhead of office space, insurance, and additional other employee costs. Immediate access to friendly, certified technicians of all levels. Contact us today and learn how our Outsourced Help Desk Services can help keep your business IT running smoothly and efficiently. There is absolutely no cost or obligation for a consultation. How can RMON help you? A custom network audit is the first step in discovering your IT needs. The results will identify potential weaknesses – and how we can help. If you want success, partner with the best!